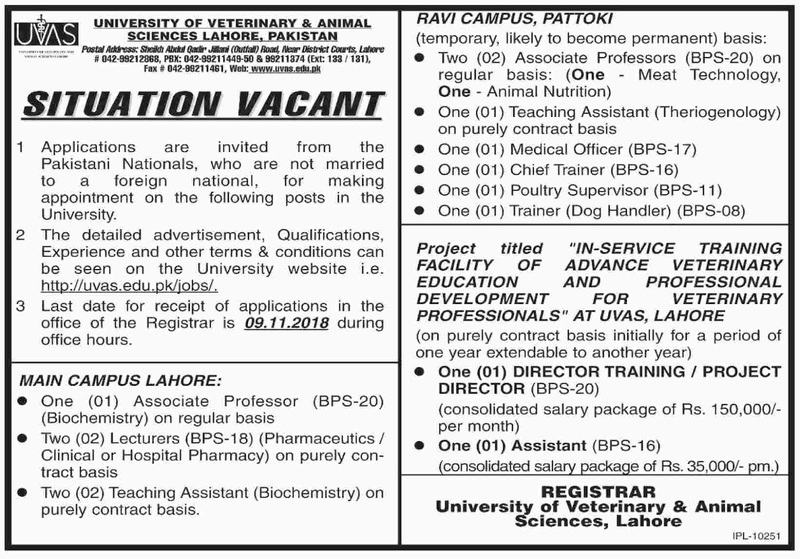 University Of Veterinary & Animal Sciences (UVAS) Lahore Punjab. 1. Applications are invited from the Pakistani Nationals, who are not married to a foreign national, for making an appointment on the following posts in the University. 2. The detailed advertisement. Qualifications, Experience and other terms & conditions can be seen on the University website i.e. http://uvas.edu.pk/jobs/. 3. Last date for receipt of applications in the office of the Registrar is 09.11.2018 during office hours.